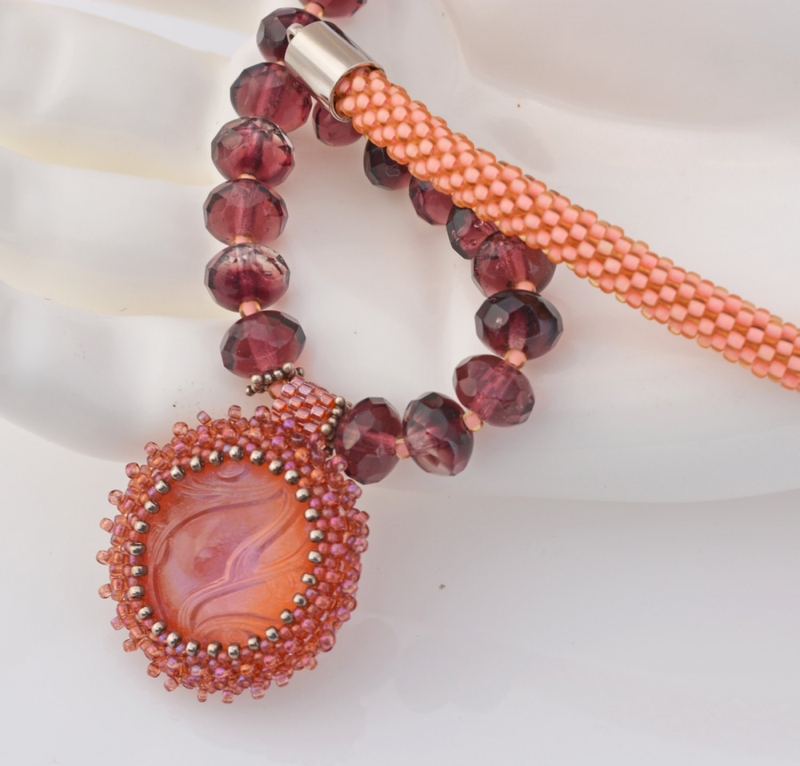 Napa Sojourn, an artisan necklace of salmon peach and purple beads, was so named as it reminded me of the sun setting over the vineyards of Napa Valley. 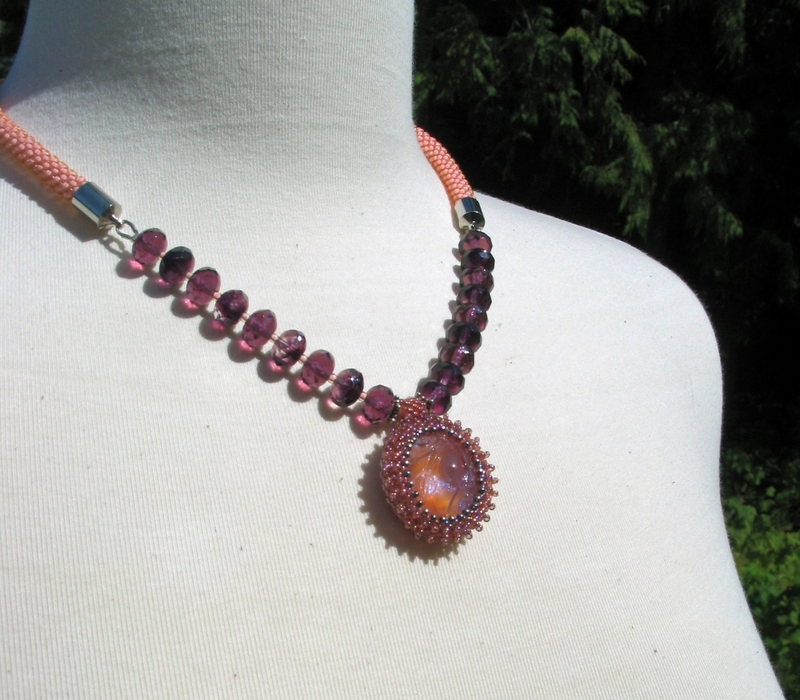 I've set a glass cabachon with an Art Nouveau design in tiny seedbeads and hung it in the center of faceted grape colored glass. The pendant is about 1 1/8 inch in diameter. 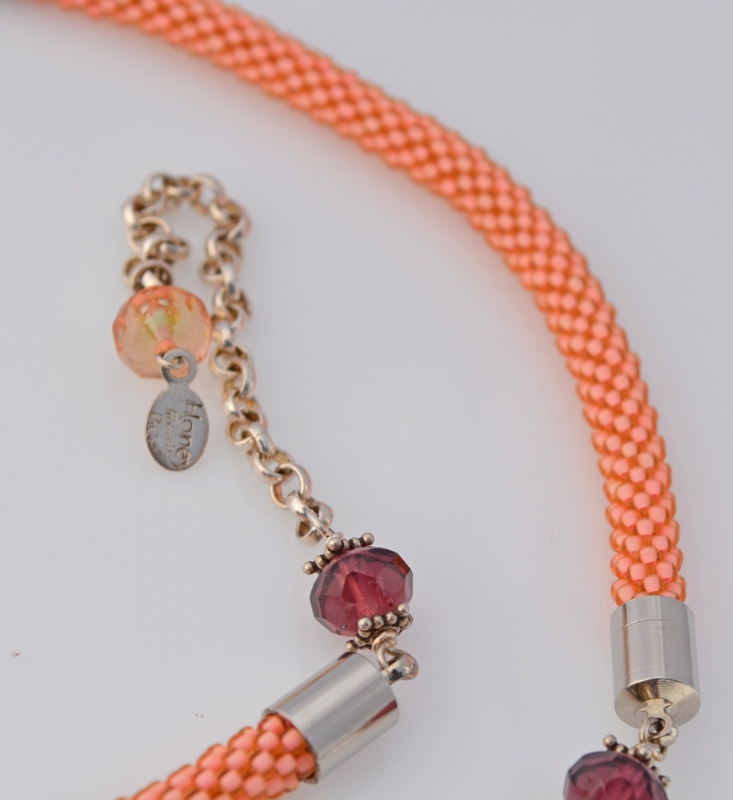 For added interest I crocheted two seedbead ropes in a light salmon color. Im tickled with the way it turned out! Sterling Silver heart-shaped lobster clasp and chain make this adjustable from about 17 to 20 inches. If you've never been to Napa Valley in California, you're missing one of Americas wonderful treasures. You'll love the scenery that reminds many of Tuscany. Small towns with amazing restaurants and fun shops dot the landscape, while grape vineyards crawl over nearly every slope and line up in mustard fields.